Many of us can remember the days spent playing in the street, but what about when there is no one else around? Thankfully, this cop was about to change that for one kid. 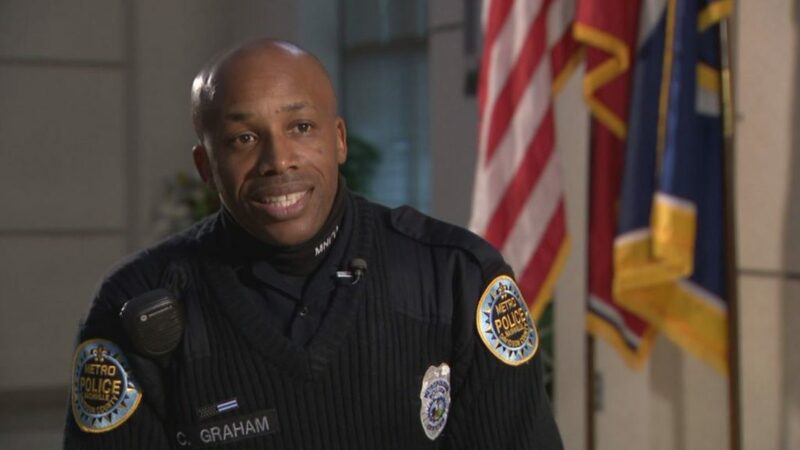 It was a cold winter’s day in Tennessee when a police officer, Calvin Graham, was out on his usual rounds. That was until he spotted something we don’t see too much nowadays: a kid playing in the street. However, there was no one else around, and it seemed as though the youngster was all alone. Where were all his friends? Many of us would start to panic as we saw the cops pull up. After all, the teen, Caden, had merely been playing with a football – was he really about to land himself a trip to the station? Thankfully, Calvin didn’t want to cause any trouble. He just wondered where everyone was and why this kid was outside playing catch on his own. The police officer knew that he couldn’t drive past and leave Caden on his own. It was a cold day, and there were no calls on the radio which meant there was time for a quick break. The cop pulled his car over, stepped out, and started to play catch with the teen! In fact, the pair spent about 20 minutes throwing the ball back and forward before Calvin had to return to his duties. It seems as though many have their own opinion about police officers, and Caden’s mom, Beth, was no exception. That was until she looked out of the window and saw Calvin’s act of kindness. 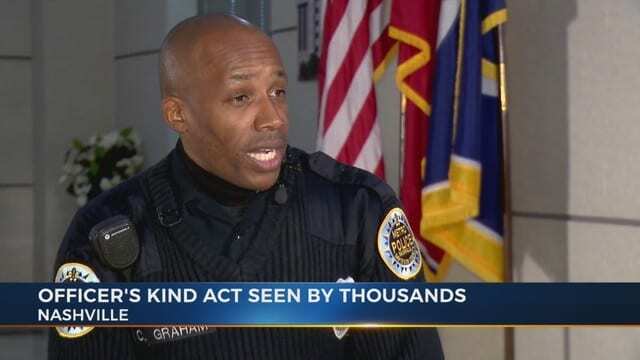 While many others may have driven past, this officer was determined to see a smile on the youngster’s face – even if it did mean showing off some of his football skills. While cops might spend a lot of their time hunting down the bad guys, it seems as though they still have the time to be the good ones, too. 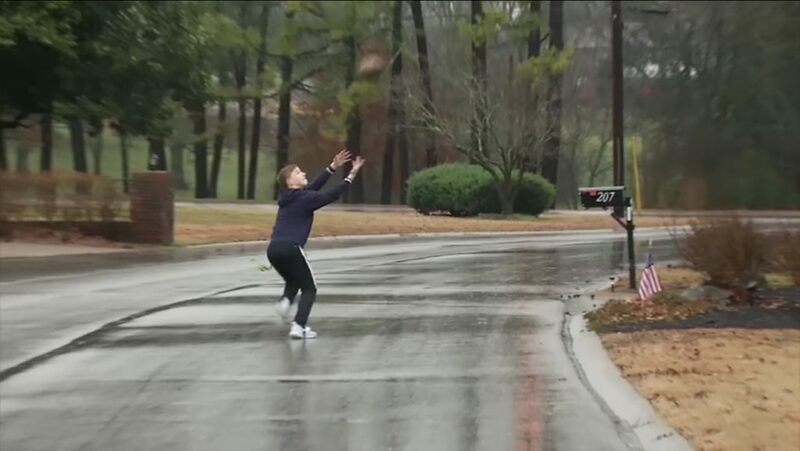 Thankfully, Calvin proved how it’s never too cold to play a game of football, especially when there’s no one else around for a round of catch.